It's now possible thanks to this multilingual work that will serve you well and help you in all occasions. How do you make yourself understood abroad ? This practical guide will help you find the phrases that save and thus better handle everyday situation, from the most pleasant to the most complicated. The alphabetical ordering of phrases will help you quickly find the phrases that save in all situation, from the easiest to the most complicated. A true reference work, accessible by everybody, to travel and express yourself in the principal languages of the world. It will facilitate your first steps to overcome the language barrier, break the ice and create contacts in the local language, with the natives of the country. Do you have a question to pose, information to ask ? Go directly to the right page of the dictionary by using the index of languages at the beginning of the book. Now it's up to you to make the most of this book to communicate efficiently and precisely and to take full advantage of your travels in a foreign environment. 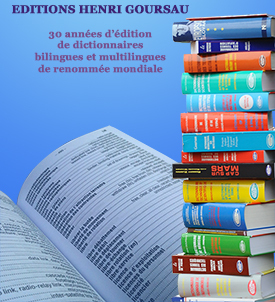 This multilingual dictionary has just been published in France. It contains 200 commonly used phrases translated into the world's main 180 languages. Dictionnary of regional languages of France - 200 key phrases translated in 55 languages, dialects and patois.